Hi everyone! It's been a while since we've posted - we've missed you all! And for our ひさびさ "Hello Again!" post we have an announcement! 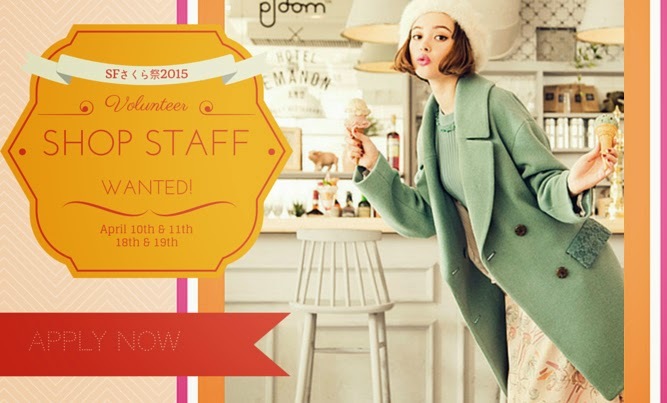 We are looking for volunteer staff for the Cherry Blossom Festival! Did you know our shop staff Amarin and Shiorin were both discovered at Cherry Blossom?? If you have any questions about the application, please email us at hello@shopmaruq.com (subject: Cherry Blossom Staff). Remember, all applications must be dropped off in-person at MARUQ! Also, look forward to our new & updated blog debuting soon!